How the universe came to be what it is now is a key philosophical question. 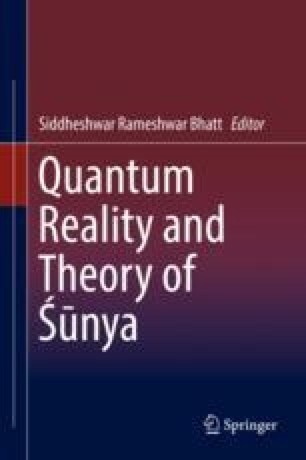 The hypothesis that it came from nothing or śūnya (as proposed by Stephen Hawking, among others) proves to be dissembling, since the quantum vacuum can hardly be considered a void (śūnya). In modern science, it is generally assumed that matter existed before the universe came to be. Modern science hypothesizes that the manifestation of life on earth is nothing but a mere increment in the complexity of matter – and hence is an outcome of evolution of matter (chemical evolution) following the Big Bang. After the manifestation of life, modern science believed that chemical evolution transformed itself into biological evolution, which then had caused the entire biodiversity on our planet. In the framework of materialism, the major attention is to find general organizational laws stimulated by physical sciences, ignoring the uniqueness of life. The main goal of materialism is to reduce consciousness to natural processes, which in turn can be translated into the language of math, physics, and chemistry. Following this approach, scientists have made several attempts to deny the living organism of its veracity as an immortal soul, in favor of genes, molecules, atoms, and so on. However, advancement in various fields of biology has repeatedly given rise to questions against such a denial and has supplied more and more evidence against the completely misleading ideological imposition that living entities are particular states of matter. In the recent past, however, the realization has arisen that cognitive nature of life at all levels has begun presenting significant challenges to the views of materialism in biology and has created a more receptive environment for the soul hypothesis (Shanta BN. Commun Integr Biol 8(5):e1085138, 2015). Therefore, instead of adjudicating different aprioristic claims, the development of an authentic theory of origin of life and universe needs both proper scientific knowledge and the appropriate tools of philosophical analysis of life. This talk will highlight the uniqueness of biological systems that offers a considerable challenge to the mainstream materialism and proposes the Vedāntic philosophical view as a viable alternative for development of a theory worthy of origin of life and universe. Mazzocchi F. The limits of reductionism in biology: what alternatives? E-LOGOS: Electron J Philos. 2011;11:1–19; http://nb.vse.cz/kfil/elogos/science/mazzocchi11.pdf. Berger R. Understanding science: why causes are not enough. Philos Sci. 1998;65:306–32; http://www.jstor.org/stable/188263?seq=1#page_scan_tab_contents. Kelley D. Is it time to throw out ‘primordial soup’ theory? NPR, February 7, 2010. http://www.npr.org/templates/story/story.php?storyId=123447937. Bacterial bonanza: microbes keep us alive. NPR: http://www.npr.org/templates/story/story.php?storyId=129862107. Accessed 07 July 2015.